The Bears and City Hall strike a deal on the Lucas Museum, Chicago-based Walgreens wants to buy a rival and the Bulls go international for sponsorship deals. 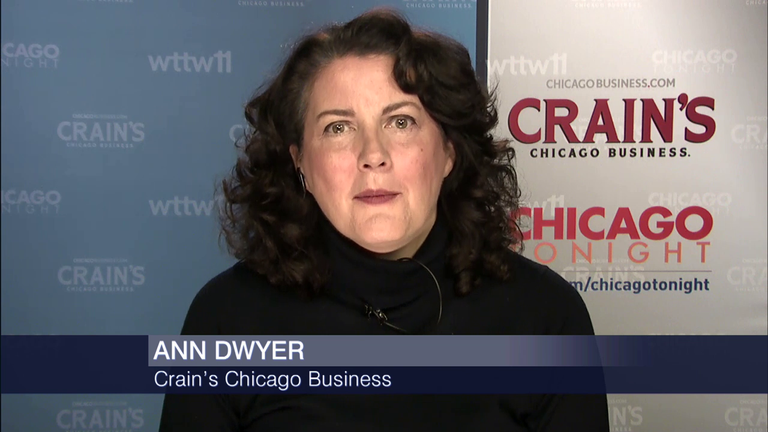 We’ll discuss these stories and other top business headlines of the week with Crain’s Chicago Business deputy managing editor Ann Dwyer. Chicago Bears ticket holders rejoice—there will be more parking and tailgating with the new Lucas Museum. After a City Council hold up on zoning for the $400 million Lucas Museum of Narrative Art last week, the Chicago Bears and City Hall have agreed on a deal that is expected to clear the landscape for the final zoning approval of the proposed museum. Part of the deal includes an increase in the number of tailgating vehicles from 3,161 to 3,361. This will be accomplished by adding new parking locations to the existing tailgating lots, and by permitting tailgating in the new “event prarie” park that will be adjacent to the museum. Is the museum adding green space so tailgaters can tear it up? And if they do, who’s going to pay for annual restorations? With more than 8,200 U.S. stores currently, Walgreens Boots Alliance is looking to acquire 4,570 Rite Aid stores in 31 states in a deal valued at $17.2 billion. The deal is expected to close midway through the next calender year and would put the potential combined store count of the first- and third-largest drugstore chains close to 13,000. Rite Aid will keep its name, but will become a subsidiary of Walgreens Boots Alliance through the deal. How will the merger impact consumers? Hyatt Close to Starwood Purchase? After weeks of negotiations, Hyatt Hotels is said to be a week away from purchasing Starwood Hotels and Resorts, according to CNBC. Starwood's brands include W Hotels, Westin and St. Regis. A cash and stock agreement with Hyatt would place Hyatt management in control of the combined companies and would greatly expand Hyatt's reach in the hospitality industry. Meanwhile, Starwood stock is up on Wall Street while Hyatt is down. Is Hyatt the only suitor in the deal, or are there other companies in the mix? Earlier this month, the Chicago Bulls signed a seven-year sponsorship deal with the Poland-based foreign currency exchange company Cinkciarz. The company will open its first U.S. location in Chicago, next year, at 401 N. Michigan Ave. While Cinkciarz looks to make a name for itself among Chicago’s Polish community, the Bulls announced another international sponsorship—a three-year deal—with China-based smartphone maker ZTE. With the sponsorship, ZTE will become the new official smartphone of the Bulls. ZTE is currently the fourth-largest smartphone company in the U.S. based on units sold.